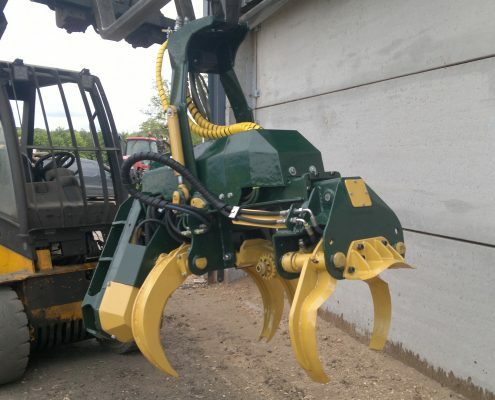 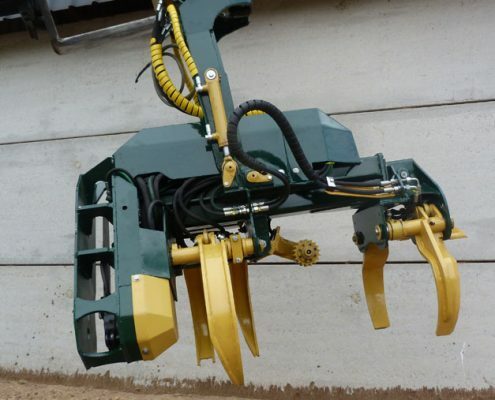 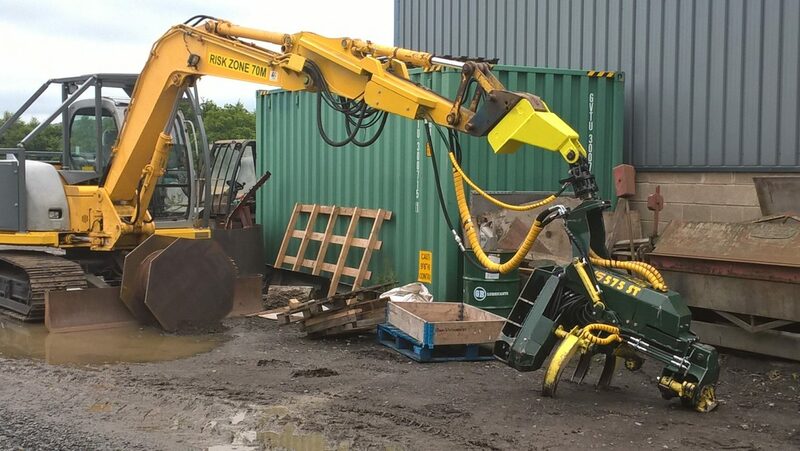 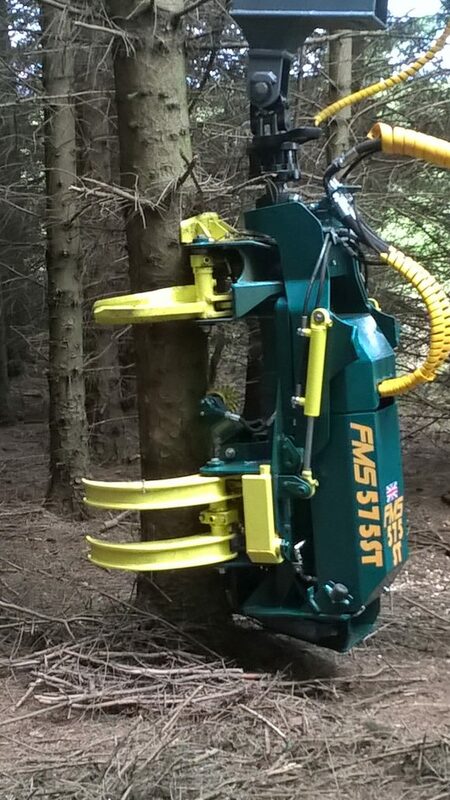 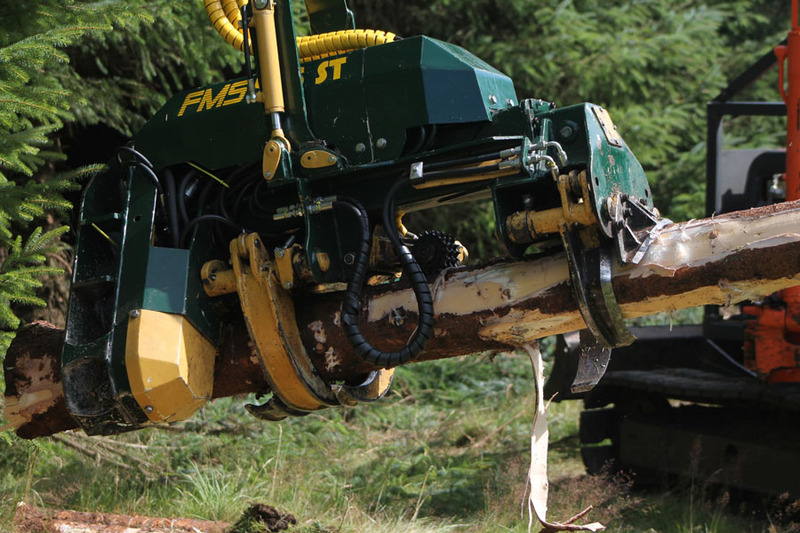 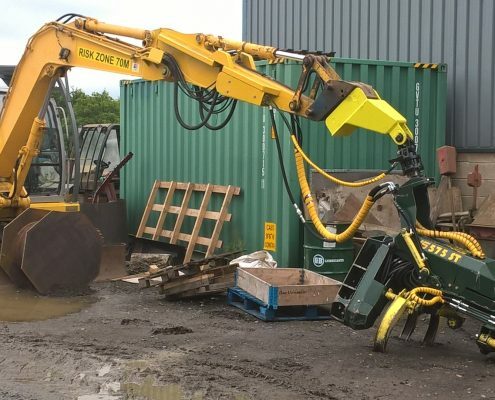 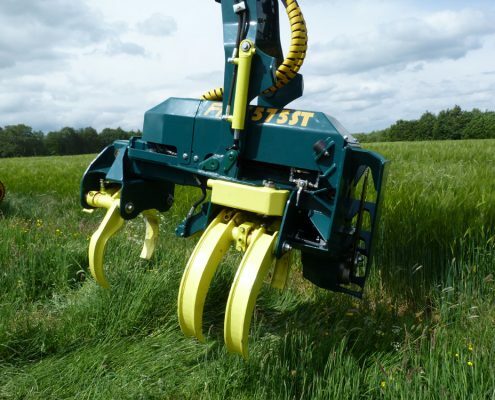 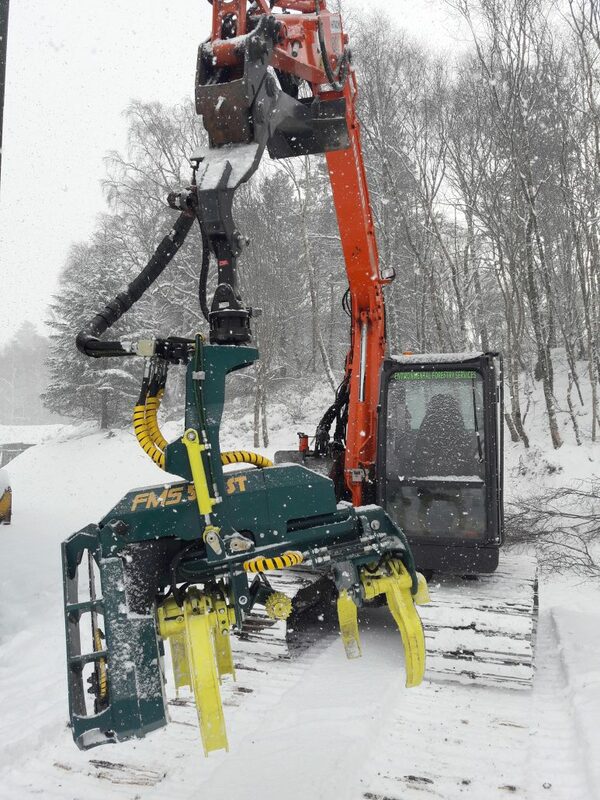 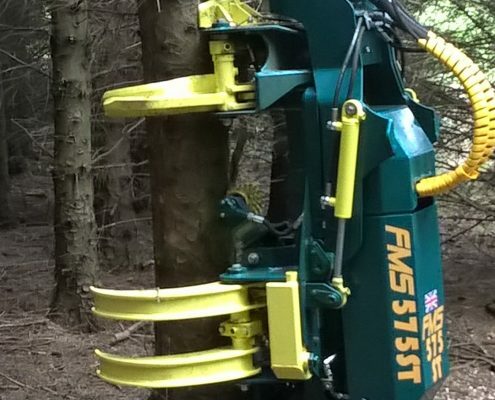 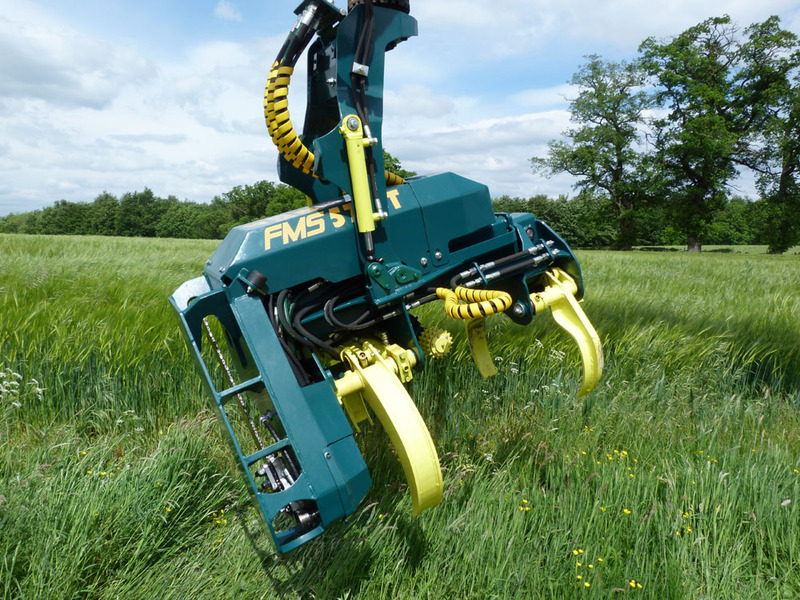 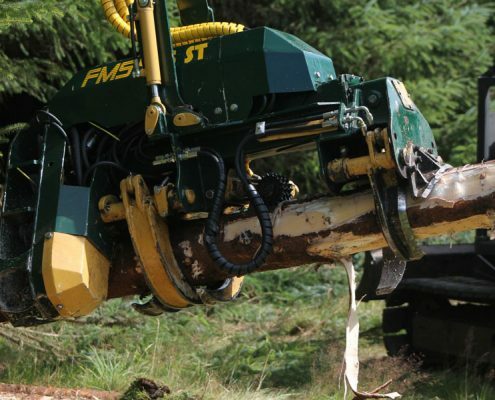 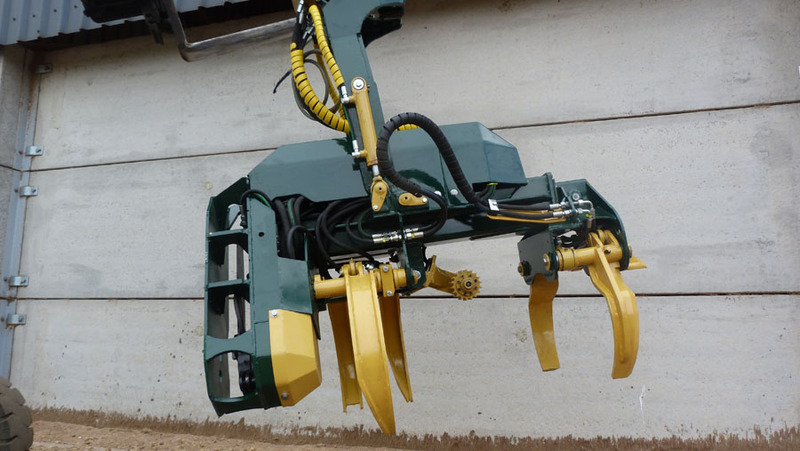 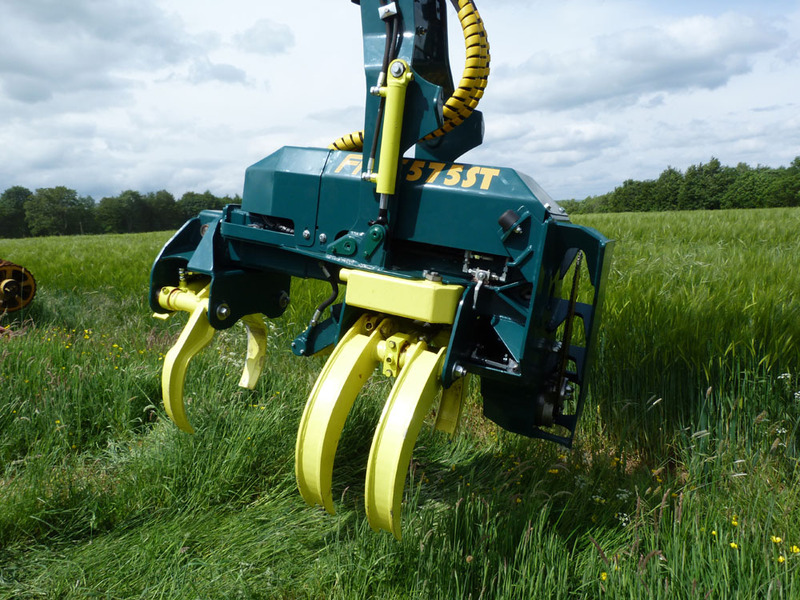 The FMS 575 stroke head has been developed to provide a strong head with good delimbing power to cope with UK and Irish thinning’s and still fit onto an 8T excavator. 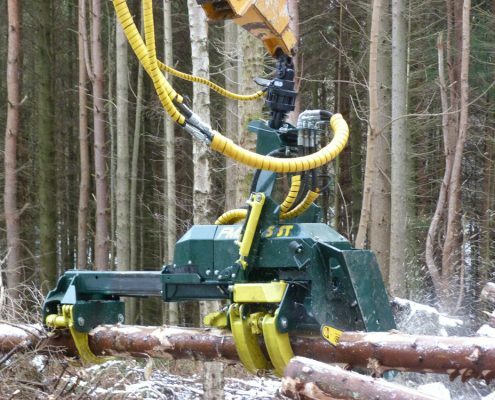 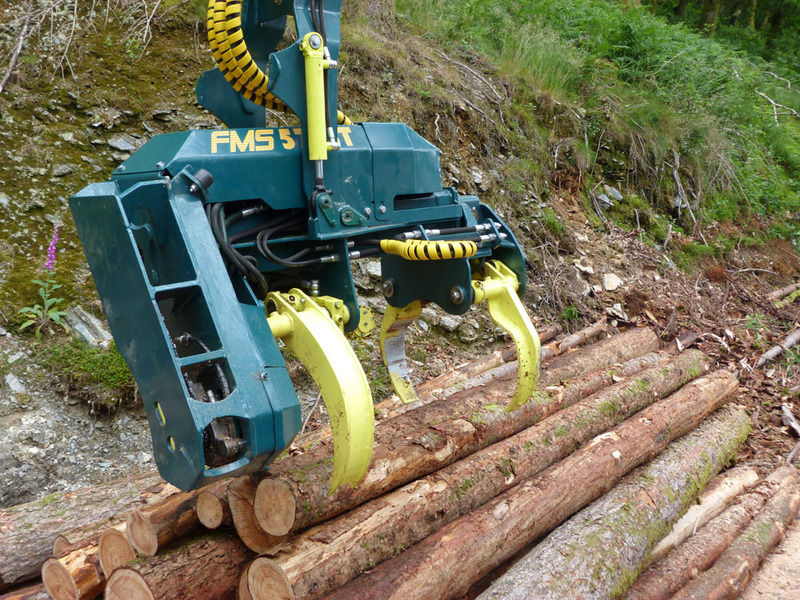 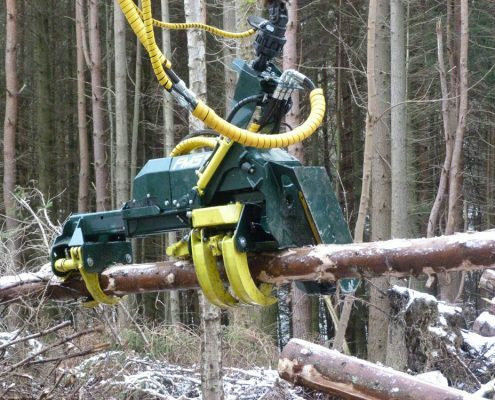 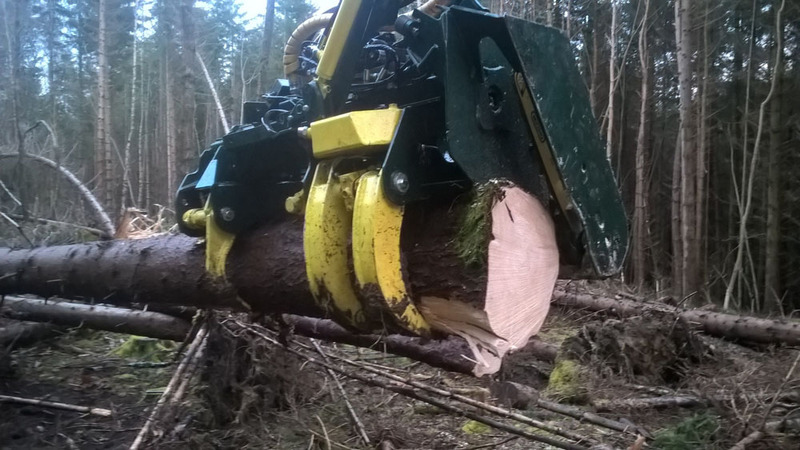 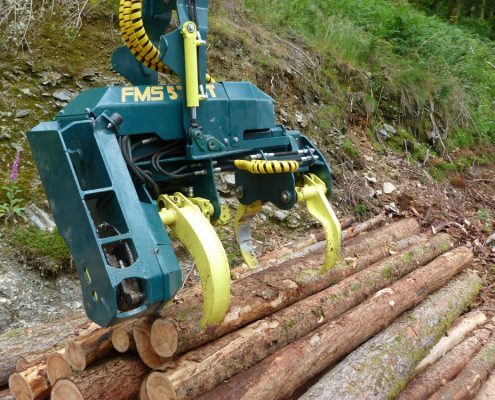 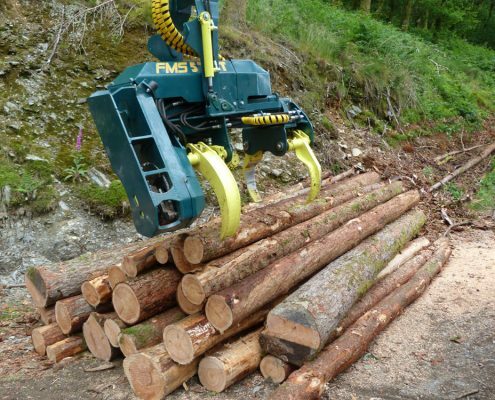 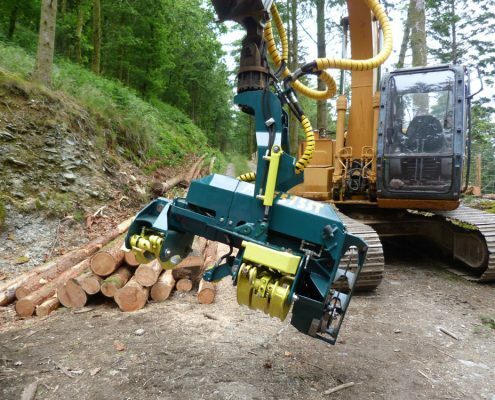 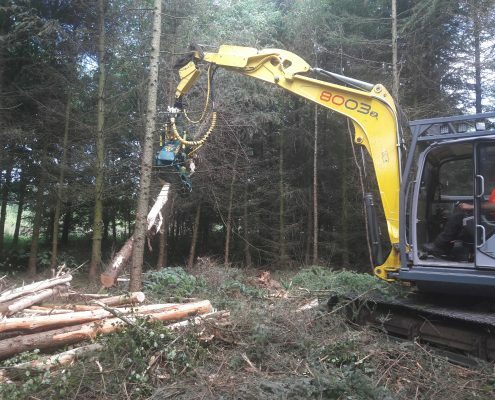 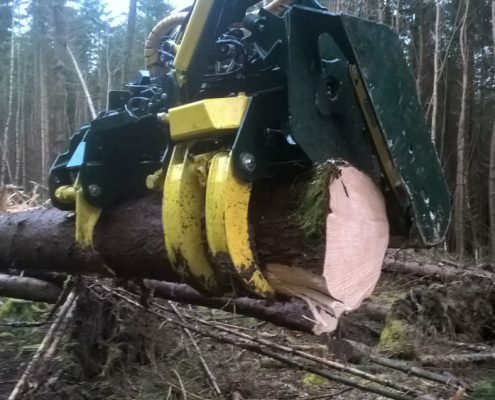 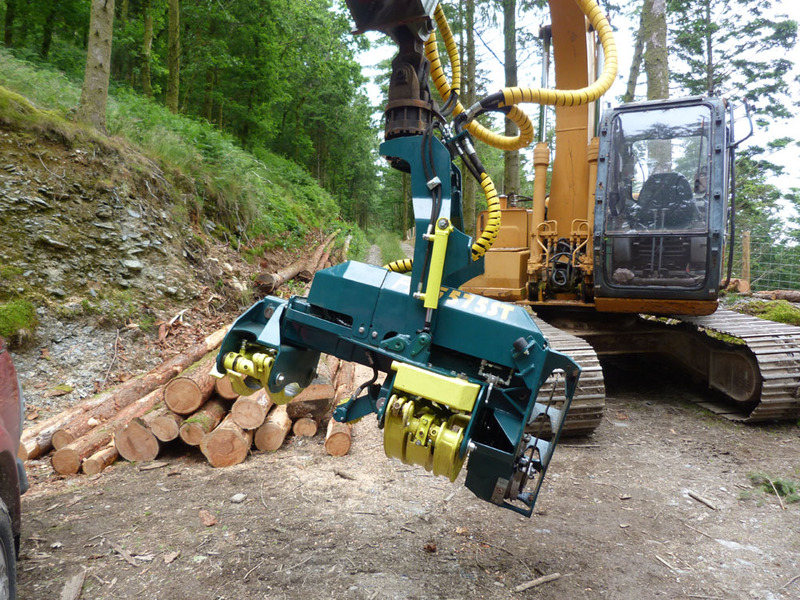 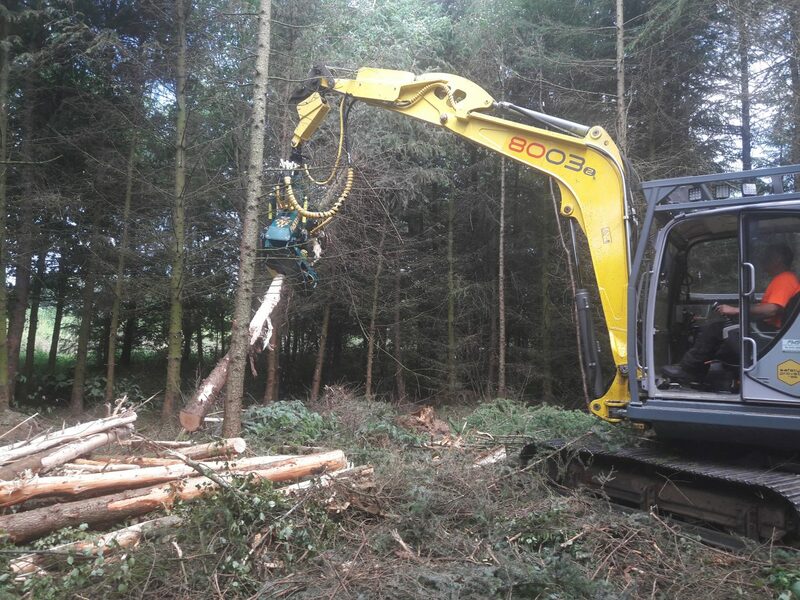 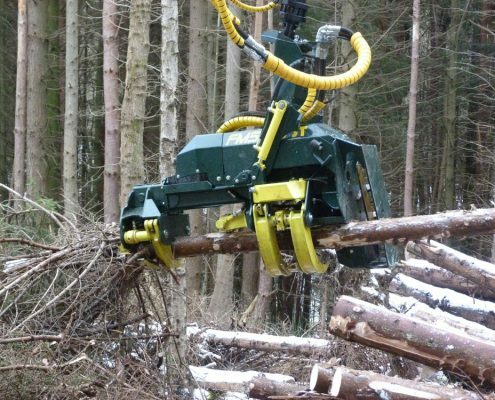 The head which is built by ourselves in Northumberland is a result of customer feedback from other heads and our own knowledge or what is required to handle the current timber thinning operations in the UK and Ireland. 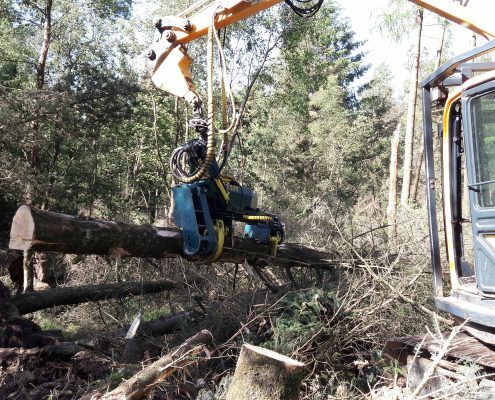 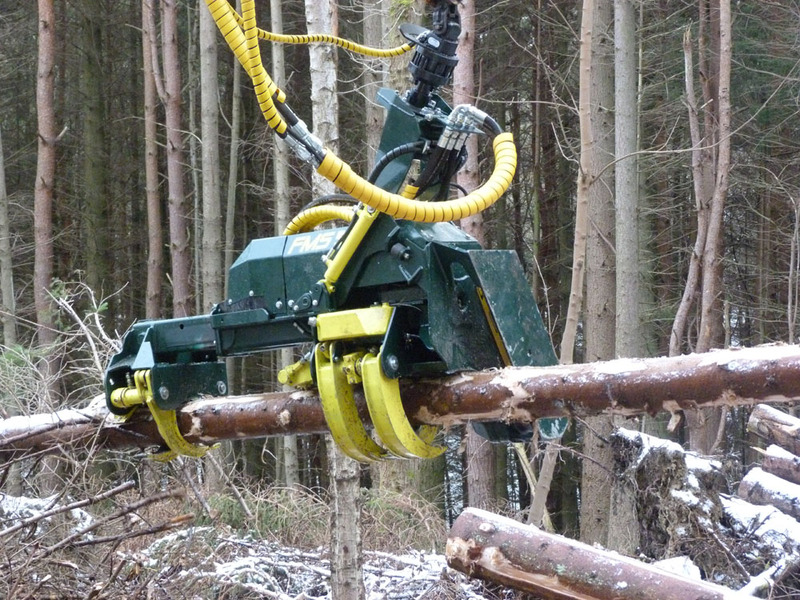 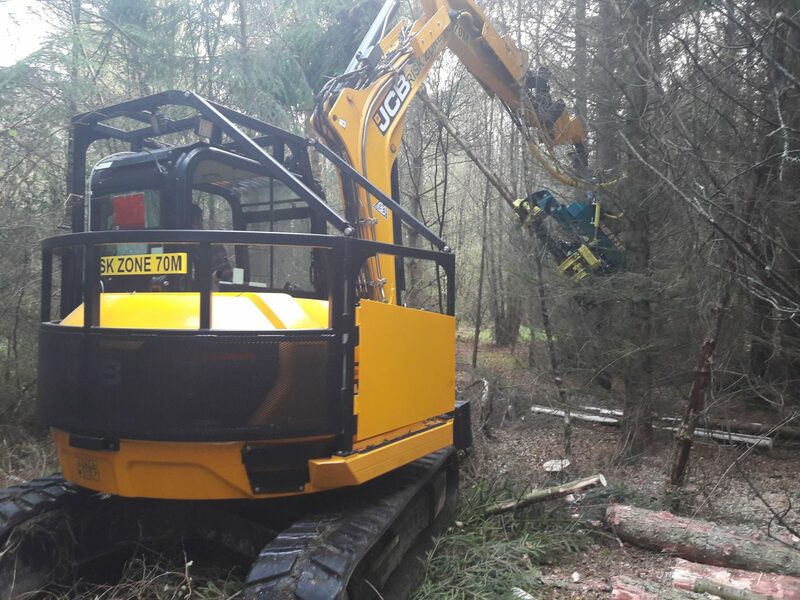 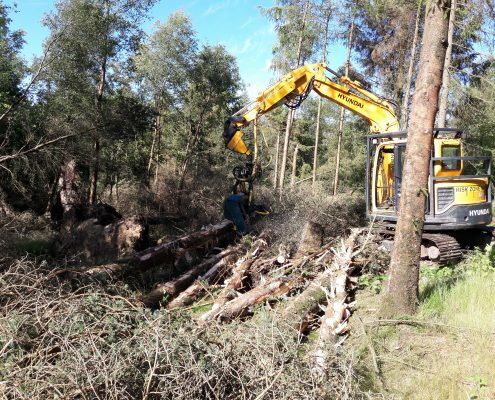 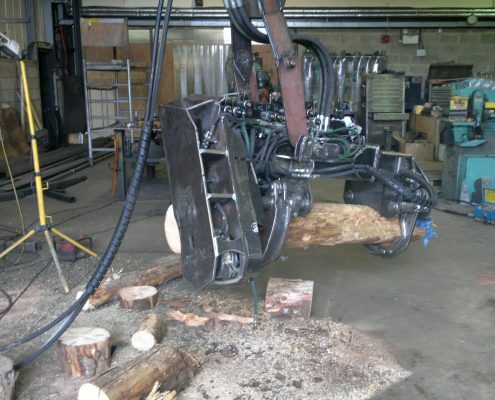 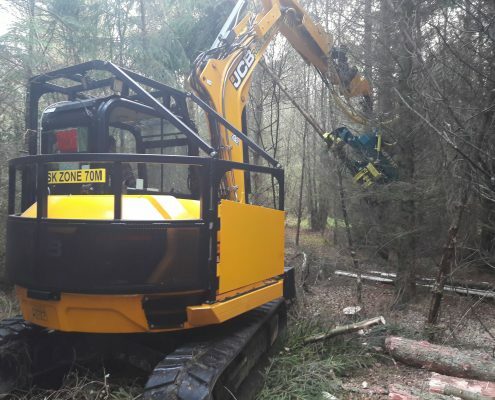 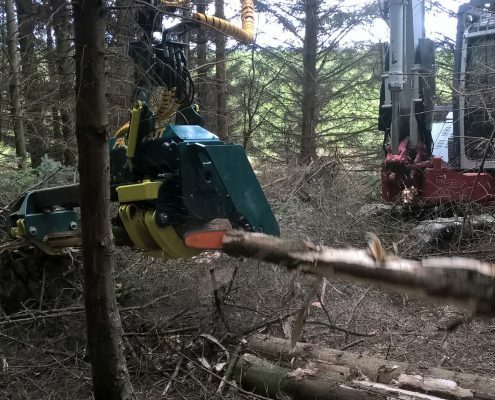 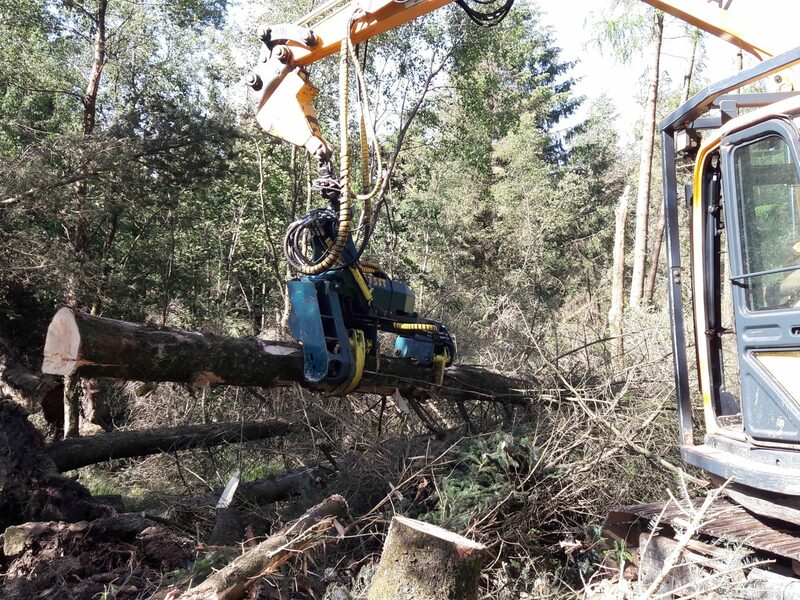 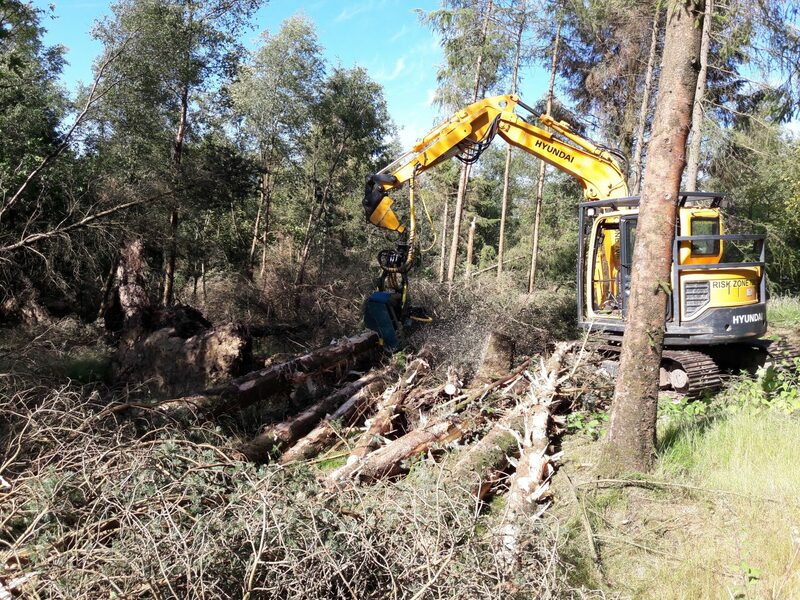 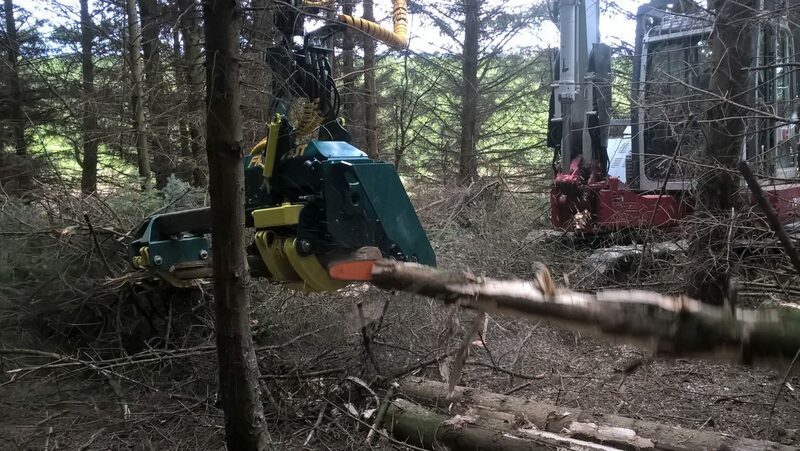 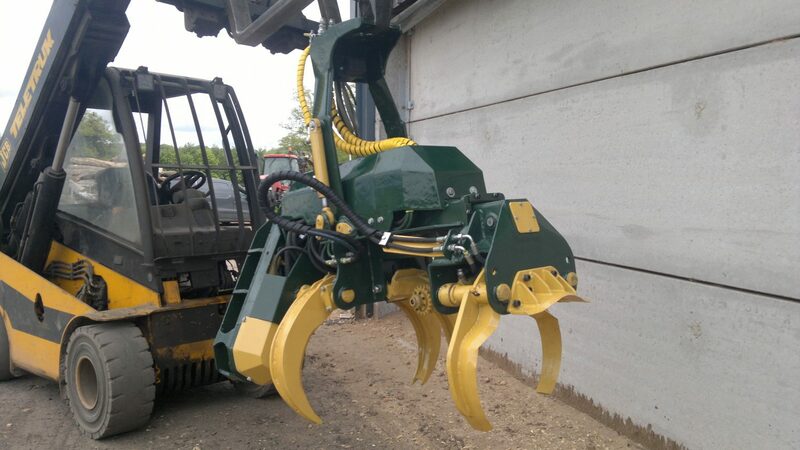 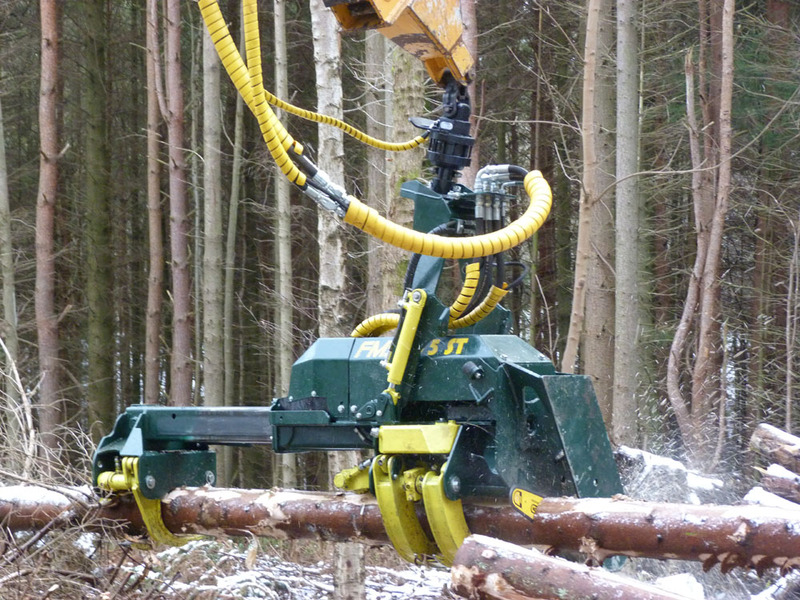 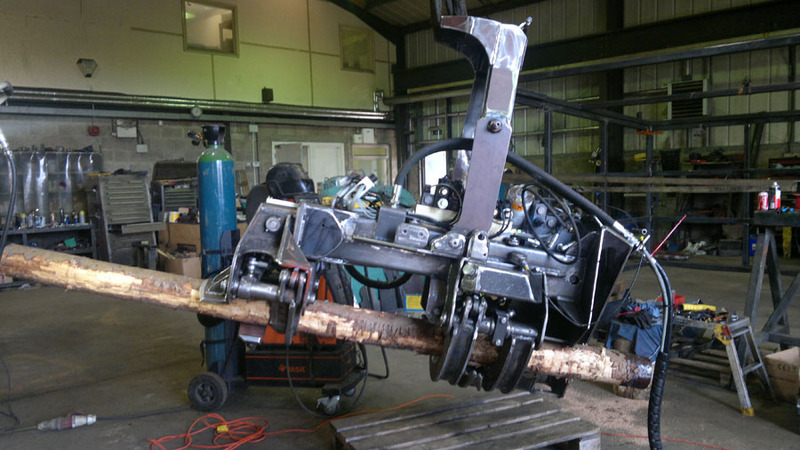 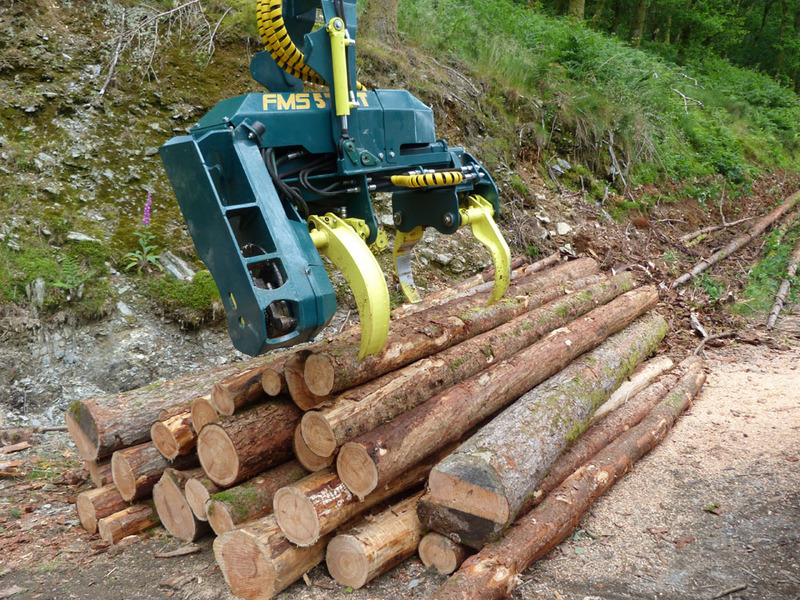 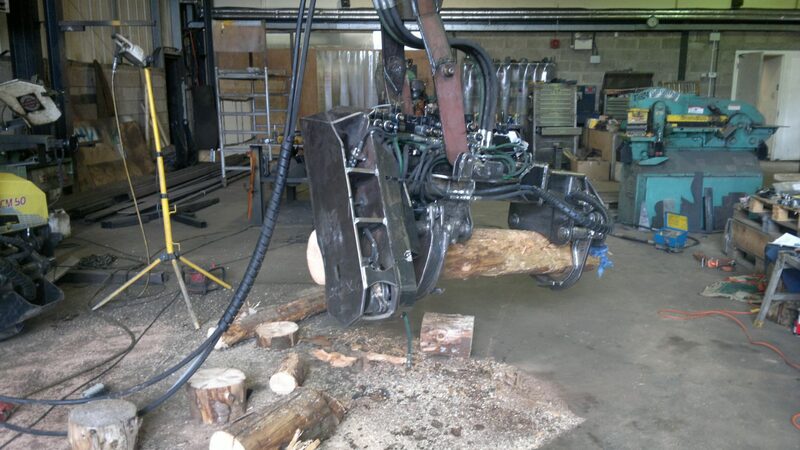 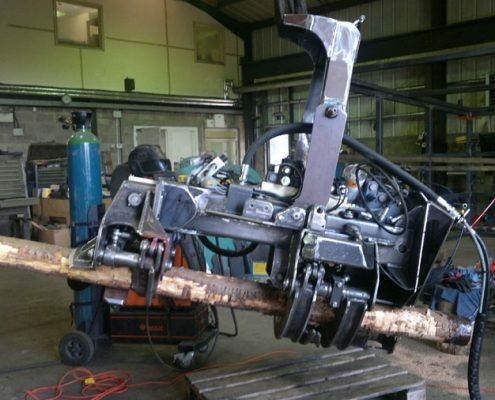 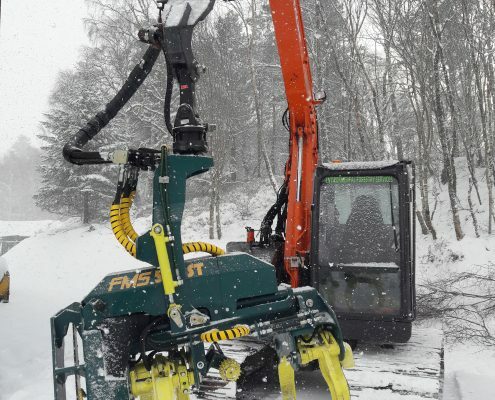 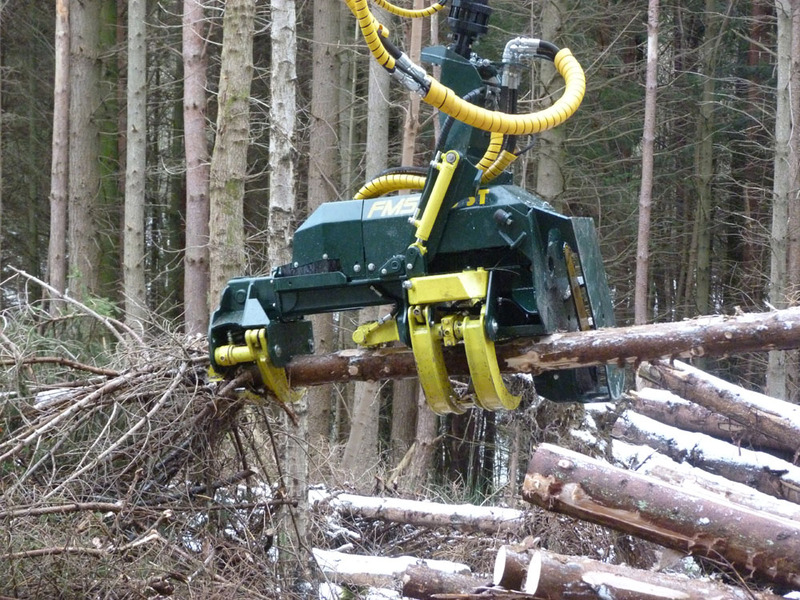 The head is fitted with a 64cm saw bar which has proved ideal to clear pockets of wind blow in larger timber which would be uneconomic to clear with larger machines.